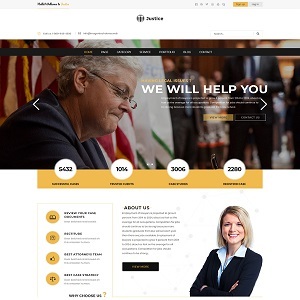 SW Justice is a Responsive WordPress theme that is ideal solution for any interior or materials website. It works wehomepageseating a better navigation and neatly organized content structure. With clean and styled design, this beautiful template will make your site brighter, more attractive and help your sales volume up. Furthermore, with 2 homepage layouts and 4 layout styles, SW Justice comes with a bundle of new powerful features which is rolled inside this theme. Especially, users will have usability with Visual Composer integrated, WooCommerce included and Revolution Slider supported as well.